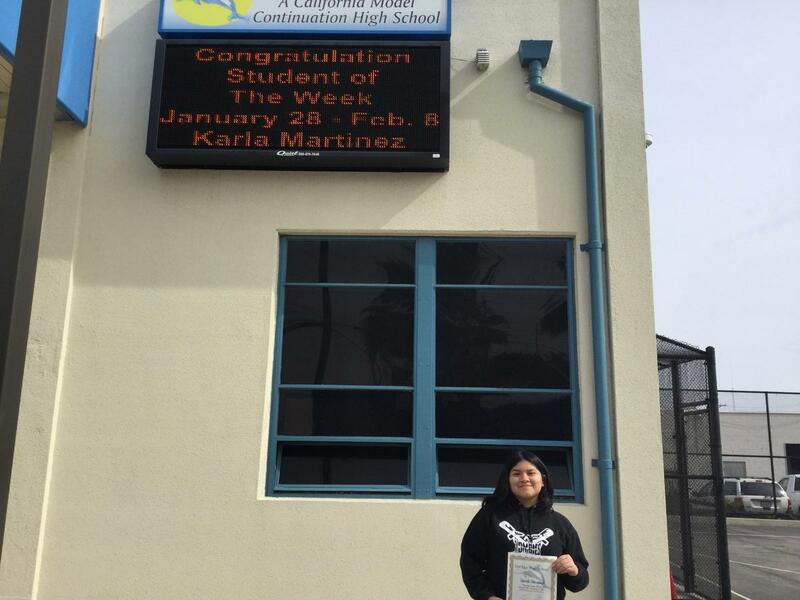 Congratulations to our Student of the Week for February 4-8, Karla Martinez. Karla was chosen by her teachers because she has made so many positive changes since she has come to our school. 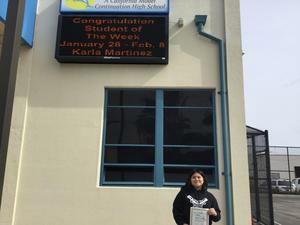 Before Del Mar, Karla was a student who did not feel comfortable attending school. Since enrolling at Del Mar she has blossomed into a student who participates in her classes, who interacts well with her peers and who is a very contentious student who works hard to complete her work with quality. Karla has found a home at Del Mar and we are so glad that she has joined our family! Congratulations Karla, we are very proud of you! !